Hey all! Yesterday we released beta version 0.27.0, with a number of improvements to the UI. 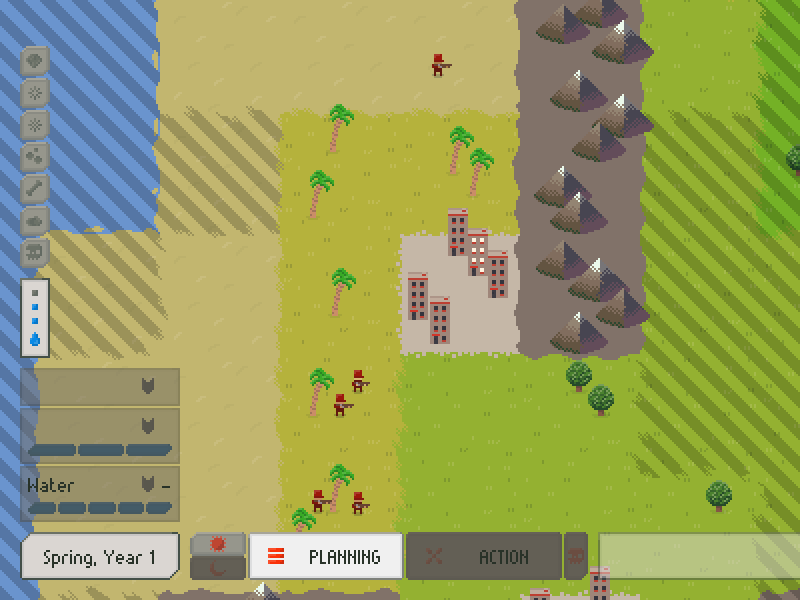 In particular we reworked the phase list in the bottom left of the game screen to put more emphasis on the Planning phase and the Action phase. This update also brings a new challenge: the Everything is Free challenge. In this challenge, units and tiles have their cost reduced to zero, so you can skip the economy and go straight for the big guns! Like in normal matches, you get 1 point for each Grass and Forest tile that remains at the end of the game, up to 100 points. The more points you get, the more stars you earn! As in previous weeks, you can find this challenge in the multiplayer menu. 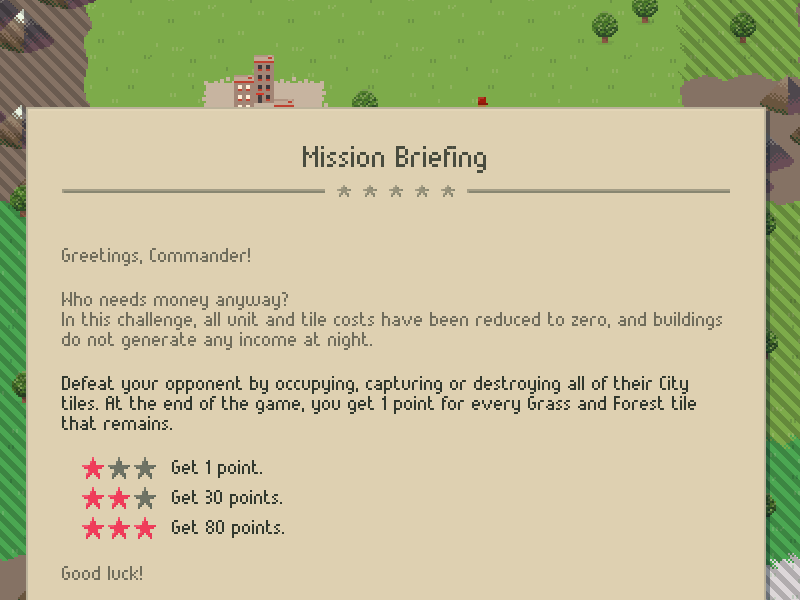 We've added a shiny new type of panel with a picture in it that updates to show the current challenge. One thing we have noticed is that not enough players can find human opponents to play against. This is a shame because our game works best in one-vs-one against other players. Therefore going forward we will put more of our effort into centralizing our playerbase and growing a community within our Discord server. 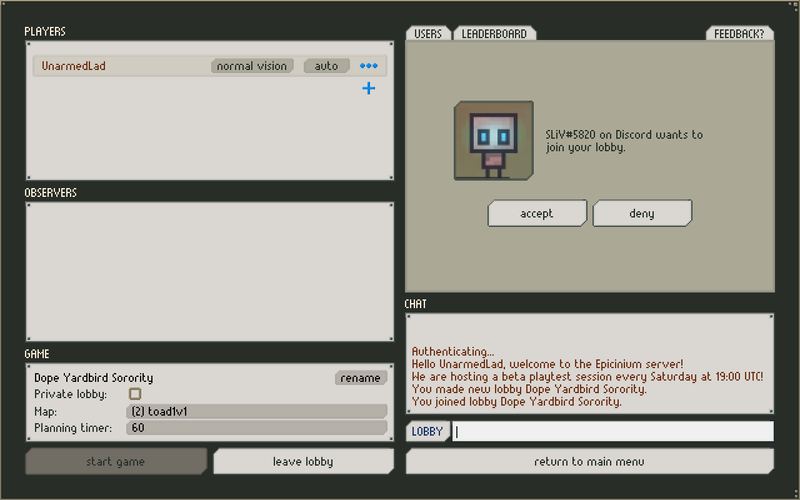 With that in mind, we are currently working on integrating Discord into our game and vice versa. Once this is complete, you will be able to see when your friends are online and ask to join their lobby via Discord. 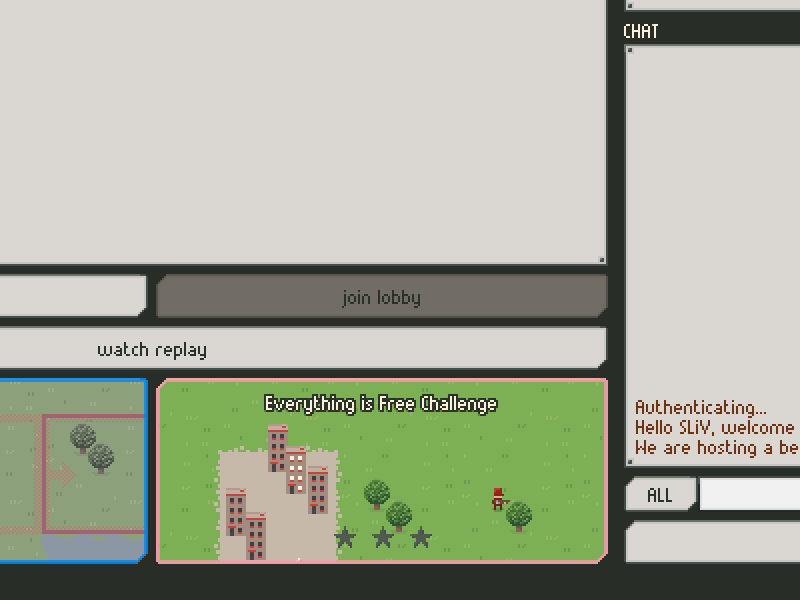 While they are playing a game, you can even start spectating them directly from Discord with one press of the button. One way we will be using this integration is with automated weekly tournaments organized through Discord. At any point during the week you will be able to join the tournament. Once joined, any ranked match against an opponent that is also part of the tournament will count towards your score in the tournament. At the end of the week, the participant with the highest total score is declared the winner. Epicinium now live on Kickstarter!